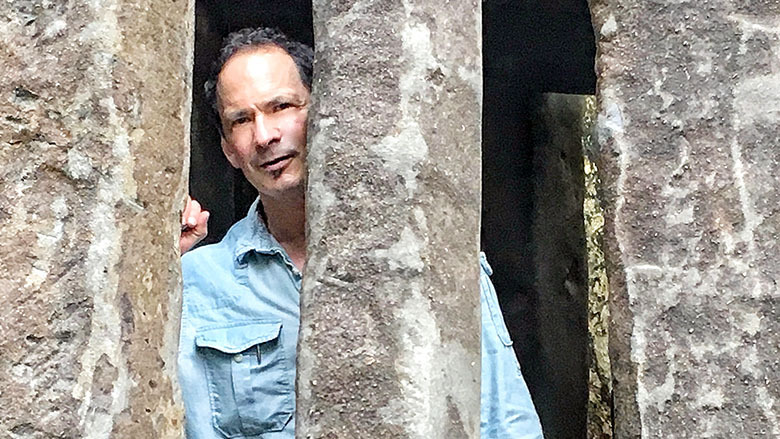 Acclaimed American poet Forrest Gander is travelling to the UK to become an International Writer in Residence for a North West university. The influential poet, essayist, novelist, critic and translator will begin his residency at Edge Hill University in Lancashire later this month. Named as a United States Artist Rockefeller Fellow for his artistic excellence, unique vision and significance, Forrest will launch his residency with a public poetry reading. Forrest recently contributed to Atlantic Drift, Edge Hill University Press’s latest book bringing together new and established poets from both sides of the Atlantic. Ahead of his arrival next week Forrest said: “I’m looking forward to my time at Edge Hill University, to elbow my way deeper into the conversation between North American and UK poets— to see what the smart students there are up to in their writing and thinking. Born in California’s Mojave Desert, Forrest travelled extensively on family summer road trips and has used his experiences to inform his interest in landscapes, languages and cultures. An academic with degrees in both Geology and English Literature, his work primarily focusses on ecology and landscape. Known for his richness of language his latest book, Be With, poignantly touches on aftermath of grief following the loss of his mother and sudden death of his wife and fellow poet C.D Wright. Forrest’s residency is sponsored by the British Council and the University’s Department of English, History and Creative Writing.